Depth . 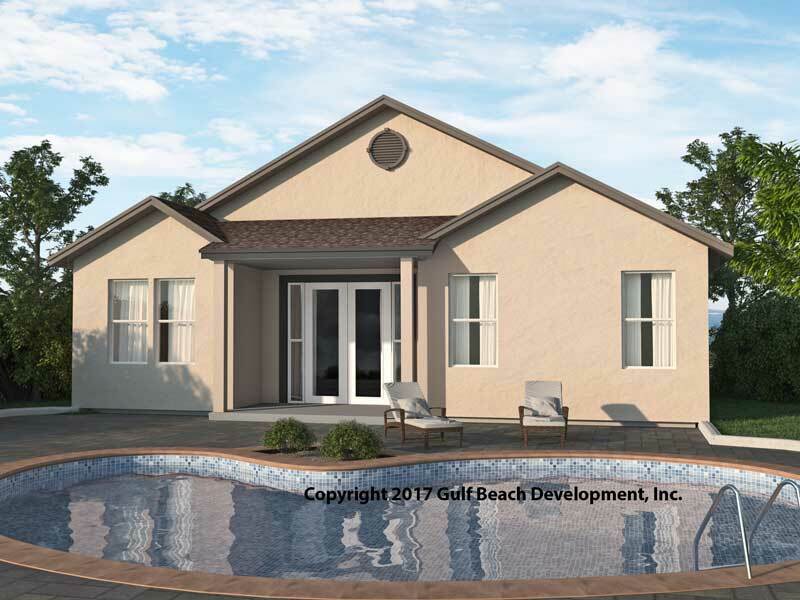 . . . . 54'-6"
The Royal Oaks house plan is a ranch three bedroom home in our Slab Grade Collection. On the exterior the front has a large welcoming covered porch and the rear can included a n optional covered Lanai. The exterior finish can be stucco or siding materials with options for accents like stone, shutters and window band trim. The two car enclosed garage leads into the conditioned space mud room with space for a washer and dryer. The kitchen includes a raised bar top allowing for a more open view all while still hiding items let on the main granite countertop. 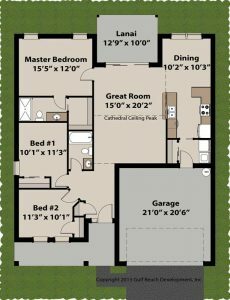 The center section of the home is the Great room with options for adding height by picking the cathedral ceiling option. 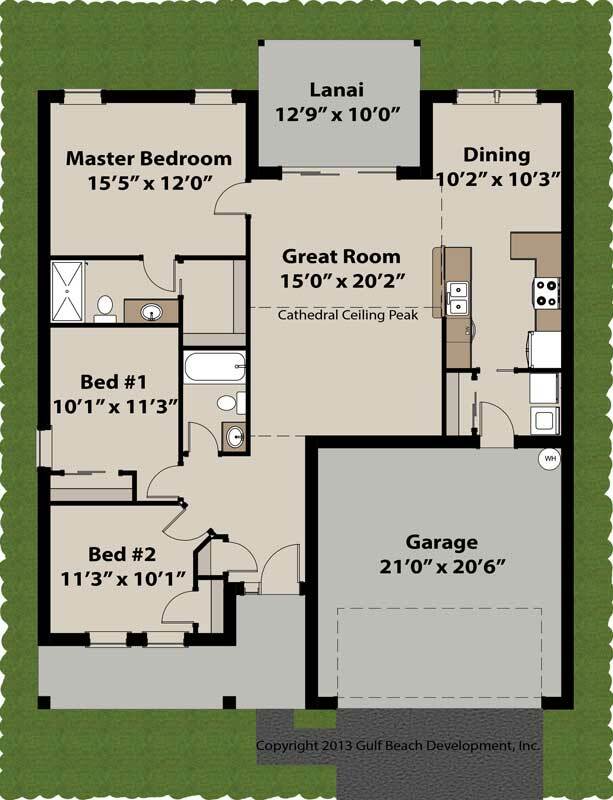 The master suite includes a full bath and nice walk-in closet. The Foyer is very spacious allow easy traffic flow into the main part of the house or the other two bedrooms. 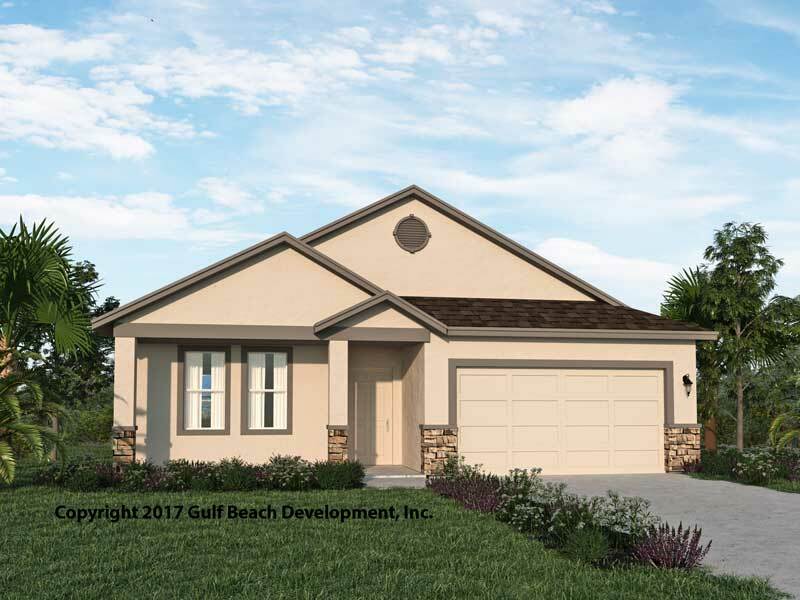 Your local certified Gast Homes real estate agent can help you decide which plan is right for you. Also ask about cost of home ownership, we have found many new construction owners have saved so much on the monthly expenses like utility cost and maintenance that it was more affordable to have a new construction home built instead of existing outdated homes.